To his colleagues, Richard Feynman was not so much a genius as he was a full-blown magician: someone who “does things that nobody else could do and that seem completely unexpected.” The path he cleared for twentieth-century physics led from the making of the atomic bomb to a Nobel Prize-winning theory of quantam electrodynamics to his devastating exposé of the Challenger space shuttle disaster. At the same time, the ebullient Feynman established a reputation as an eccentric showman, a master safe cracker and bongo player, and a wizard of seduction. 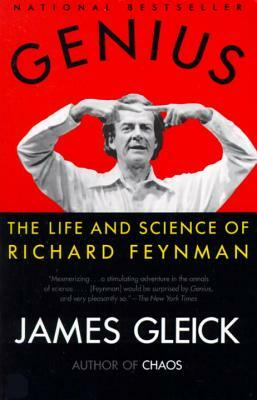 Now James Gleick, author of the bestselling Chaos, unravels teh dense skein of Feynman‘s thought as well as the paradoxes of his character in a biography—which was nominated for a National Book Award—of outstanding lucidity and compassion. JAMES GLEICK is our leading chronicler of science and technology, the best-selling author of Chaos: Making a New Science, Isaac Newton, and The Information: A History, a Theory, a Flood. His books have been translated into thirty languages.